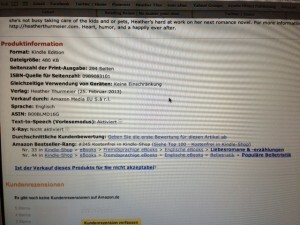 « N is for New Release! 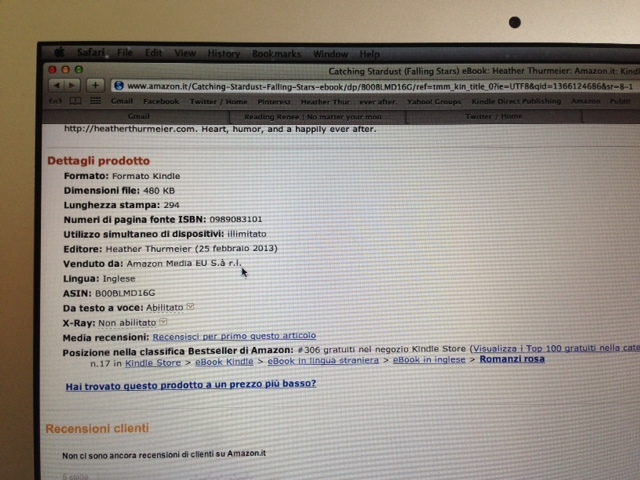 Catching Stardust is already a best seller in the US, UK, Germany and Italy!! Check out these screen shots! 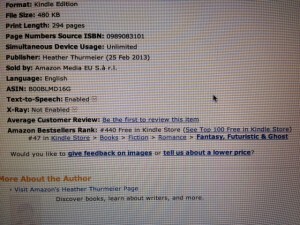 In the US, Catching Stardust hit #20 on the best selling paranormal list! And it’s currently sitting at number #243 overall in the free store! 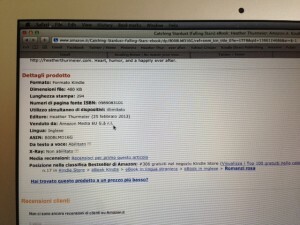 In Italy it’s number 17 in Romanci Rosa!! What is that??? LOL. 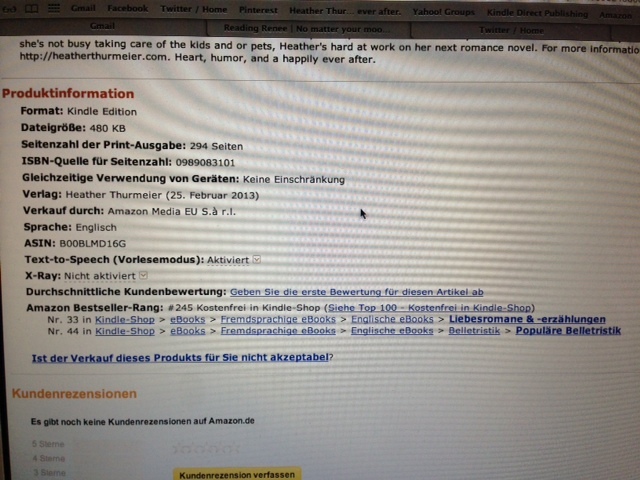 In Germany it’s number 33 and 44 in two categories I can’t even hope to guess at! How awesome is that! Go Germany! 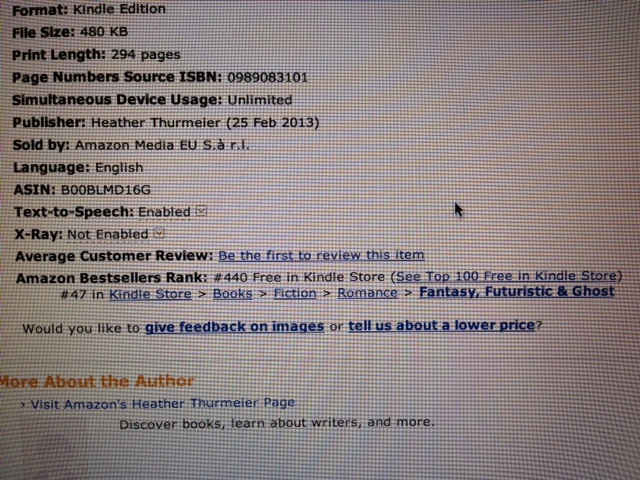 And in the UK it’s working it’s way up the charts at 47 in Fantasy, Futuristic and Ghost. Woot!! Thank you, thank you, THANK YOU to everyone who has already downloaded, shared and tweeted about Catching Stardust! I could really use more help if you can spare it. If you have friends or family who like to read, send them the link! Why not pick up a copy while it’s free, right? If you have Facebook, please share the link. If you have twitter, please tweet the link or RT one of my tweets. You can following me and I’ll follow you back! 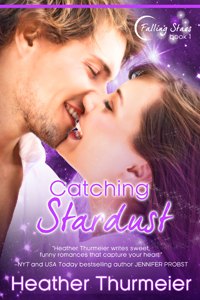 @hthurmeier If you’ve downloaded Catching Stardust and are one of my super fast readers, please leave a REVIEW at Amazon or Goodreads! You are all awesome. I have the best readers!! Grab your FREE copy of the book from AMAZON! That’s so awesome! Congrats! I loved Catching Stardust. So original! Are you going to write the other sisters’ stories?